Welcome to the top 10 #CONSTRUCT 2017 moments, day three edition! 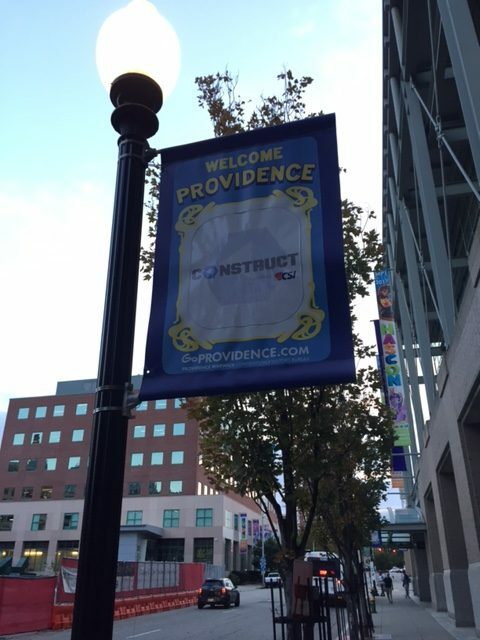 This is a quick roundup of the highlights of all the great Social Media content coming out of the Rhode Island Convention Center from this year’s CONSTRUCT event. To see the day one highlights, click here! To see the day two highlights, click here! Our chapter, CSI East Bay Oakland, has two representatives in attendance this year: Chapter Secretary Vonnie Bower and Chapter Vice President Robert Hemphill, and they have been kind enough to send pictures and information about their #CONSTRUCT experience. Thank you both! 1. Once again, the day starts out early, but Lauren is ready to go! 2. Eric and Cherise working the room. They were everywhere at #CONSTRUCT! That wraps up day three! Any honorable mentions that didn’t make our list? Comment below! Thank you very much to everyone who made these top 10 lists possible with all their great pictures and content from #CONSTRUCT 2017! Thank you for reading, have a safe trip home, and we’ll see you next year at #CONSTRUCT 2018 in Long Beach, CA! The East Bay Oakland Chapter of CSI was incorporated in 1967, as a non-profit organization, dedicated to advancement of the objectives of CSI. Our education and networking events provide professional development opportunities for our design and construction industry colleagues.